This miniture version of the well-known Alternanthera is characterized by compact growth and a slower growth rate. By careful trimming can you create a dense, red-violet carpet approximately 5 to 10 cm high. This new variety Alternanthera Reineckii sp. Mini, only came onto the market a few years ago, and makes a colourful foreground highlight. 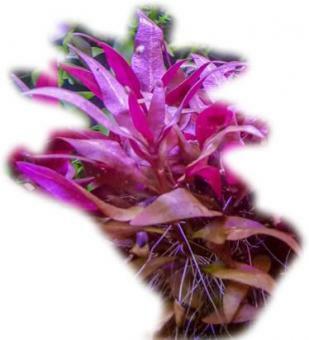 In emersed hydroponic systems, its growth is very similar to other Alternanthera varieties. The compact, miniature format only develops under water. This little beauty comes highly recommended as a splash of colour for nano cubes. For a strong colour contrast, combine with a carpet of light green Hemianthus. Note that a very light, well-lit location is essential. When cultivated submersed, A. reineckii "rosaefolia minor" is a rather slow grower and thus also has a relatively low reproduction rate. The population doubles in around 6 weeks (information from Jaap Liefting, aquaplantexchange.nl). The plant is propagated by top or lateral shoot cuttings or by separating the bushes. 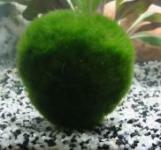 Dennerle Nano Algae Wavers- 40 pcs.